Serious motor vehicle accidents threaten the wellbeing of you and your family members. Suffering a serious physical injury in an accident means you will have expensive medical bills and lost income from being unable to work. 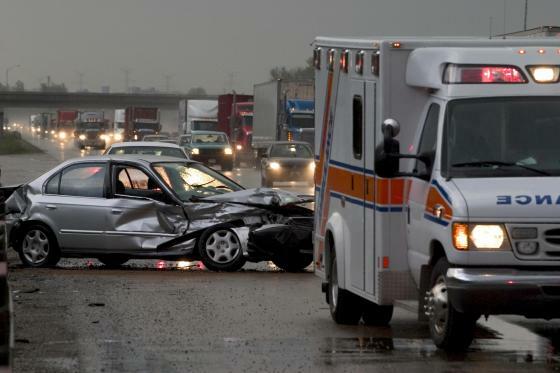 Myers Corner and Fishkill car accident lawyer Ira Maurer has the experience it takes to fight for maximum compensation in your accident claim. Please call our law firm at 845-896-5295 for a free case evaluation. Why Choose Our Car Accident Lawyer? Is there any greater injustice than a serious injury or death of a loved one caused by a drunk driver? Every year, hundreds of accidents occur on New York roads and highways because of drivers breaking the law by driving drunk. When the insurance company responsible for compensating you for your injuries and losses won't be fair with a full settlement, the sense of injustice is indescribable. We will investigate your accident and determine if alcohol was involved by accessing police reports, eye-witness accounts, photographs, and more. We will use all of this to get you the highest amount of compensation available to recover from your accident. Teenagers and adults text and drive, and talk with their friends. Truck drivers use laptop computers to keep track of expenses, mileage and break times, often while they drive. Drivers eat, drink, put on makeup and even watch videos as they travel down the road. The result? A serious or deadly accident. If you have been injured in a distracted driving accident or a family member has been killed, you should speak with an attorney as soon as possible. You may be able to obtain compensation for your financial losses and suffering. Ranging in severity from fender benders to multi-vehicle pileups, rear-end collisions are extremely common car accidents. What many people do not realize, however, is that even a fender bender can cause passengers to suffer serious injuries that may result in temporary or permanent disability. Rear-end collisions are often caused by driver negligence such as tailgating/following another vehicle too closely, speeding, reckless driving, aggressive driving, drunk driving, distracted driving, or ignoring traffic signs and signals. If another driver's negligence caused your accident, you may be entitled to compensation for your losses, including medical bills, lost income, and pain and suffering. Traumatic brain injuries (TBI) are also common in rear-end collisions. The force of the impact can cause your head to move back and forth rapidly, knocking the brain against the inside of the skull. Commonly known as whiplash, this injury affects the neck, spine and brain. It can result in a mild TBI (concussion) that can cause headaches, memory loss, mood changes and loss of consciousness. If you are in a car accident that causes whiplash, it is critical that you seek immediate medical attention. Even if you did not lose consciousness, you may have suffered a mild TBI. Under the right circumstances, any vehicle can be involved in a rollover accident. Because they are top-heavy, however, SUVs, tractor-trailers, buses and other large vehicles are at increased risk for tipping and rolling. Rollover accidents are especially dangerous because the vehicle may strike the ground on every side, subjecting passengers to multiple blows. If the vehicle is not crashworthy, passengers may be catastrophically or fatally injured. In some cases, the roof collapses under the vehicle's weight. Passengers may be ejected from the vehicle or pinned to the ground beneath the vehicle. In addition, other passengers on the road can be injured when a vehicle rolls over and collides with other vehicles in its path. Highways throughout the nation are dangerous and are often the scene of serious accidents. Truck drivers looking to maintain their speed will suddenly change lanes into the passing lane without giving a signal and then hog the road for miles. 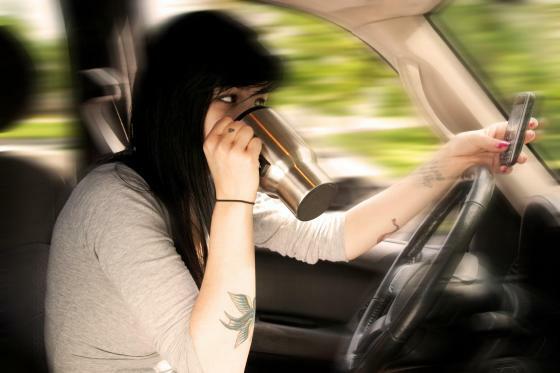 This causes other impatient drivers to take actions that are unsafe. A negligent driver might change lanes without signaling, swerve into another lane, weave in and out of traffic, or drive on the shoulder just to pass the truck. In particular, Interstate 84, which runs from the border of Pennsylvania through New York and up through Connecticut to Massachusetts, is a major thoroughfare for trucks, commercial vehicles and commuters. Because it is a two-lane highway, it can be difficult for even the most careful motorist to avoid an accident with a negligent driver. Defensive driving is essential on Interstate 84 and other highways in our area. Unfortunately, this is often not enough to prevent serious injuries and catastrophic accidents. 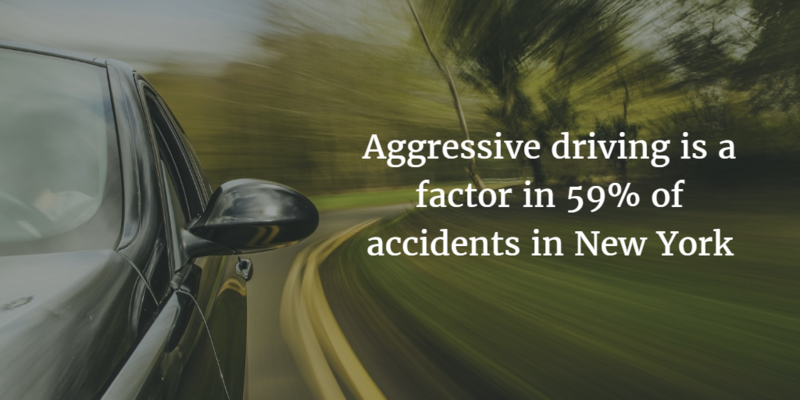 Statistics cited by the New York State police show that aggressive driving behavior is a contributing factor in 59 percent of all vehicle accidents and 66 percent of fatal accidents in New York. Growing congestion and stress on our state's streets, highways and thruways seem to be aggravating the problem. If an accident occurs because of these or other aggressive, reckless or careless driving behaviors, the accident victim has the right to claim compensation for financial losses and suffering. The driver does not have to get ticketed to be held liable for the accident, although that can be valuable supporting evidence in a plaintiff's case. When you retain my accident law firm, I will carefully investigate all aspects of your case. I will document the negligence of the aggressive driver, the effect the accident has had on your life and place a value on your losses and suffering for inclusion in your claim. The Maurer Law Firm, PLLC, will work tirelessly to obtain the best possible result for you. The state of New York has some of the most crowded city streets in the country. Every day, millions of people rely on sidewalks and intersection crosswalks to get around their towns and neighborhoods. People have the right to expect cars to yield the right of way and take special precautions around pedestrians who are obeying the law. Yet every year, thousands of pedestrians are struck in auto accidents and suffer serious injury or death. Pedestrian-vehicle accidents can lead to horrible injuries that require lifelong care. Our attorney can help you seek compensation, so please contact us today. The New York Department of Transportation and private contractors are required to design and build public roads to be safe for expected traffic and weather conditions. In addition, road construction zones are expected to be set up and maintained in a manner that is safe for traffic conditions. If you have lost a loved one, you are facing multiple concerns simultaneously. How will you raise your children without your spouse? How will your family pay the bills? Will you be able to afford your mortgage payment? What will your life be like without that family member? To find out if we can help you during this traumatic time, please call The Maurer Law Firm at 845-896-5295. These are terrible questions that require answers during a difficult time. To ensure your rights are protected, it is best to contact an attorney. I am attorney Ira M. Maurer, and I have provided wrongful death representation to families for more than 30 years. I understand the specifics of New York's wrongful death laws and will work to recover the maximum compensation you are allowed. You can rely on my experience and compassion as I fight for the compensation you need after losing a loved one to wrongful death. The state of New York requires auto owners to carry No-Fault car accident insurance. No-fault insurance means that you can recover funds for accident-related medical costs, lost wages and more, regardless of who was responsible for the accident. How Do You Obtain Benefits? You must act quickly if you wish to obtain benefits through No-Fault auto insurance. In New York, the insurance carrier must be notified in writing within 30 days of the accident — there are typically no exceptions to this deadline. In addition, if you wish to make a claim for lost wages, you should obtain proof of your income loss as soon as possible. This will help to expedite the process so you get the benefits you need. As your accident attorney, I will ensure all forms are accurate and submitted on time. My No. 1 goal is to help you get the maximum benefit as quickly as possible. Who Is Covered? Who Is Not Covered? Another common instance is when a person is injured in an uninsured vehicle that he or she does not own. Under No-Fault law, this person would be able to obtain benefits by filing a claim with his or her own insurance carrier. It is important to speak to an attorney as soon as possible after a car accident, especially if you have been approached by an insurance representative. These representatives do not work for you — their job is to minimize the insurance company's liability. I will work directly with your insurance carrier and ensure it fulfills the terms of your coverage. When you get in a car accident, your life can be turned upside down. While you are struggling with the pain and physical limitations of your injury, you will also have to deal with the burdens of mounting hospital bills and medical expenses, lost wages, and the other financial and economic ramifications of your injury. If you were injured or lost a loved one in a car accident, don't talk to an insurance adjuster until you get straight answers from an experienced accident lawyer. For almost 35 years, our attorney, Ira Maurer, has been fighting on behalf of people who are seeking legitimate compensation for injuries caused by another driver's negligence or misconduct on the road. As a result of his record of verdicts and settlements, he has earned recognition as a lifetime member of the Multi-Million Dollar Advocates Forum and is listed by Super Lawyers. Mr. Maurer has represented clients in complex cases that are cited as precedent by other trial lawyers and judges involved in personal injury litigation. You and your family have suffered enough. You deserve an attentive attorney who will address your concerns and stay in communication with you throughout the duration of your case. Our lawyer makes sure you are involved and informed throughout the process, and that you know what to expect at every step. He will make sure you know what it means if it comes down to making the choice between taking a settlement or going to trial, and he will keep working to make sure you receive high-quality legal representation. If you are searching for an experienced Fishkill and Beacon car accident lawyer to fight for compensation on your behalf, please contact The Maurer Law Firm to schedule a free consultation. Call us today at 845-896-5295. We are proud to serve clients in Fishkill, Myers Corner, Beacon, LaGrangeville and nearby areas of Hudson Valley.